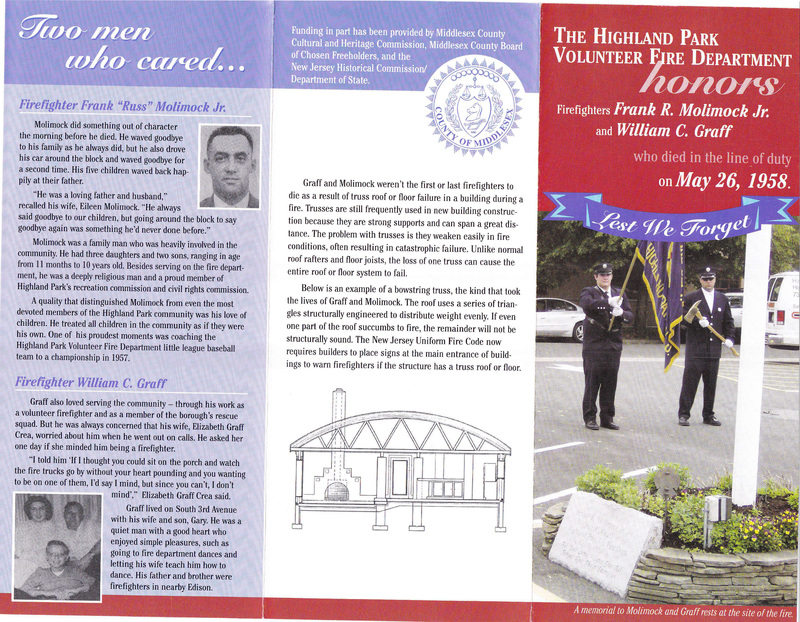 John Quinn was the first member in the Highland Park Volunteer Fire Department’s history to die in the line of duty. 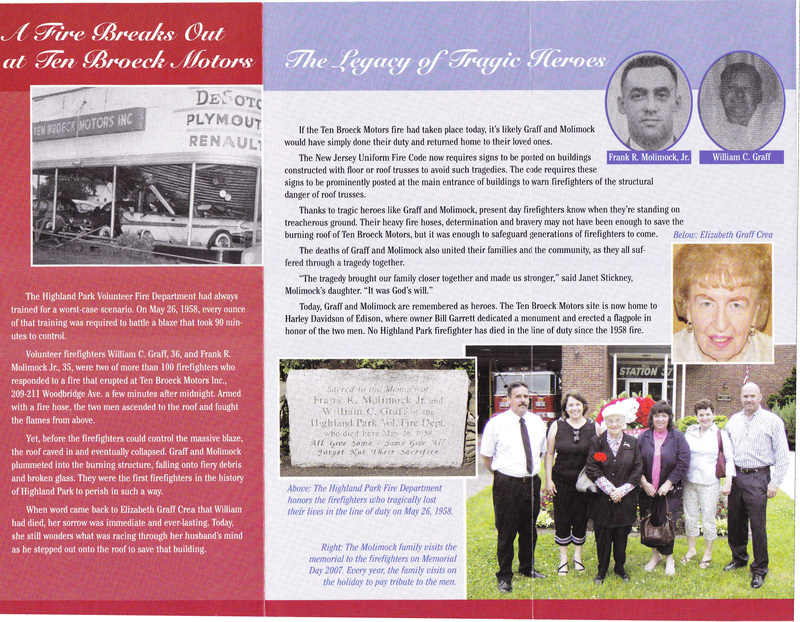 Firefighter Quinn suffered a fatal heart attack while combating a fire in one of the last barns in town. The Highland Park Volunteer Fire Department had always trained for a worst-case scenario. On May 26, 1958, every ounce of that training was required to battle a blaze that took 90 minutes to control. 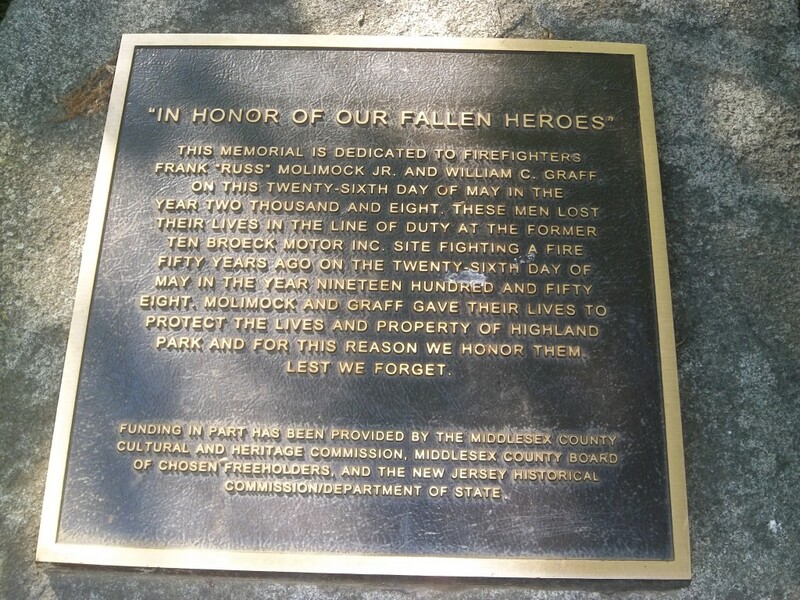 Volunteer firefighters William C. Graff, 36, and Frank R. Molimock Jr., 35, were two of more than 100 firefighters who responded to a fire that erupted at Ten Broeck Motors Inc., 209-211 Woodbridge Ave., a few minutes after midnight. Armed with a fire hose, the two men ascended to the roof and fought the flames from above. Before the firefighters could control the massive blaze, the roof caved in and eventually collapsed. Firefighters Graff and Molimock plummeted into the burning structure, falling onto fiery debris and broken glass. They were the first firefighters in the history of Highland Park to perish in such a way. 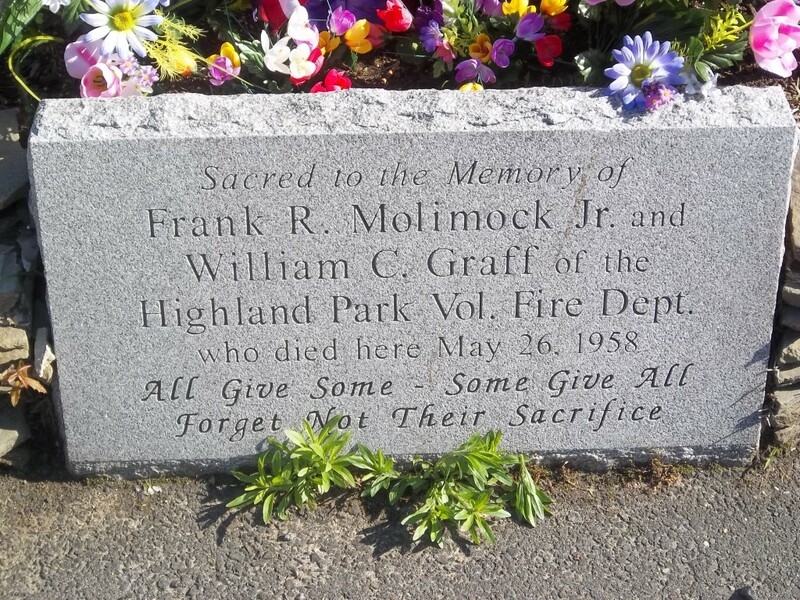 No Highland Park firefighter has died in the line of duty since the 1958 fire.